Sony has dropped some nice goodies in the PlayStation Store for both PS3 and PSP owners alike. Hopefully with this some faith can be redeemed into the PSN so people don’t go crazy over how disappointed they are about not-so-good Home experience. As for what is to be expected, the PSP is going to be getting a few games that are available at $6 to $10 a pop. Looking to spend a few bucks on a few PlayStation classics? Castlevania Chronicles and Rayman 2: The Great might be what you’re looking for at $6 each. If you’re willing to spend a bit more, Tokobot is also available for $10. But in order to get all of these, you’re gonna need the help of the PS3, which is why, if you’re going to be looking at PSP games, it’s be wise to see what the brother system has coming for it as well. Now, of course these games are going to be a bit more on the pricey side, but considering what you’re working with, it’s not that much of a surprise. Penny Arcade Adventures: On The Rainslick Precipice of Darkness: Episode 2 is available for $15. Another game to shell out money for is Crash Commando at $10. And while this game isn’t new, Supersonic Acrbatic Rocket-Powered Battle-Cars is seeing a nice drop in price as it is now just $10. Onto demos. While both of these games have already been releases, one quite a while back I might add, Sonic Unleashed and Metal Gears Solid 4 can now be yours as well. 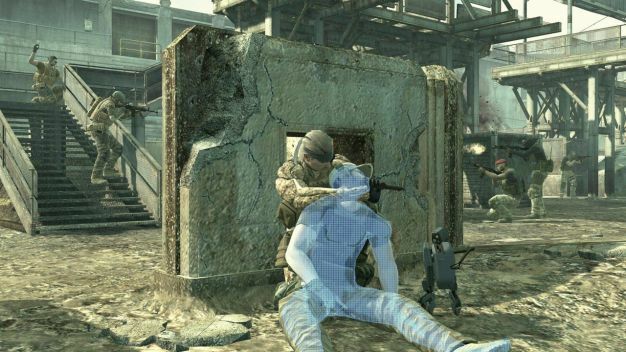 The nice thing about the MGS4 demo is that it is an online demo, giving you the chance to play and witness some multiplayer action. But of course there is a catch to this, in order to experience this you must have not played MGO, or the other demo. Some DLC that will be ripe for the picking are a LBP Santa outfit for your Sackboy or girl as well as the Festive Level Pack. Two free costumes can also be expected for High Velocity Bowling as well as one premium character. Some new costumes can be seen for Hot Shots Golf, and Naruto junkies can download a pack that allows them to use Kurenai as a support character as well as a new ultimate mission. Rock Revolution also has some tracks that can be yours for $1.49 each song. The ever-so popular Rock Band 2 shows a bit of some country roots with a pack that will cost $8.49 (or $1.99 for each individual track). More music for other popular games will be released as well, so keep your eyes peeled for anything that might be of interest to you. In short, Sony is pulling all the stops this Holiday season. With a ton of items up for grabs, make sure you’ll have enough money to buy those secret Santa presents if you haven’t already, because if you’re looking to get a bunch of what’s become available, chances are you’ll be as broke as I am for the next couple of weeks.